You are here: Home / Leads / Van Gaal Ready To Quit Manchester United? Van Gaal Ready To Quit Manchester United? MANCHESTER, Sporting Alert – Louis van Gaal has dropped the biggest hint yet that he could quit as manager of Manchester United before being sacked. Van Gaal, under enormous pressure at the moment to get results, watch the Red Devils suffered a fourth successive defeat in a very poor stretch after losing 2-0 to Stoke City in the English Premier League on Saturday’s Boxing Day opening schedule. According to reports reaching SportingAlert.com, Manchester United have given the Dutchman two games to get the club back on track, but he could walk away from his position before that time comes. With Chelsea to come on Monday and the Old Trafford outfits not favourites to secure all three points, Van Gaal has hinted that he may take the decision over his future at the club into his own hands. 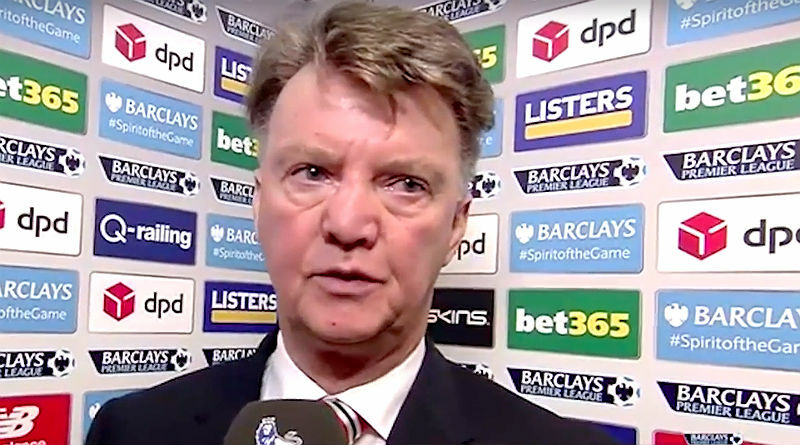 “It is not always… the club has to fire or sack me,” Van Gaal said after another defeat. “Sometimes I do it by myself. I can also quit by myself. Manchester United have spent a load of money in the transfer window during Van Gaal’s time in an effort to get back into the Champions League, as well as challenged for the English Premier League title. However, after spending over £200 million on what is now seeming to be bad investments, the club fans are beginning to become more-and-more uneasy with productions. At one point the Red Devils were sitting atop of the EPL standings, but how quickly things have changed. Van Gaal sees his side dropped to sixth in the table standings after Saturday’s defeat, while the club was also dumped from the Champions League in the group stages. Former Chelsea and Real Madrid manager Jose Mourinho, who was sacked by the Blues recently, has been linked with replacing Van Gaal, but the club’s current assistant manager Ryan Giggs is also being backed to take over.